Come and relax in our lounge, play some games in our games room or try our asian style fried rice for breakfast? Then we are the perfect place for you! Our hostel is just 10 minutes by bus away from Lucerne mai station and Mt. Pilatus is right at our doorstep (just 5 minutes walk to the cable car station). You will get a free Lucerne Public Transportation Ticket that is valid for your whole stay. As you will receive the ticket only when you check-in, your hostel reservation document (printed or digital) may be presented to the ticket inspector on the day of arrival when first making your way to our hostel. Free Wifi in all rooms, lounge with free coffee & tea, internet stations, fully equipped kitchen facilities, Asian Style breakfast included, free car parking! All of our shared rooms have bathroom and 24hr hot shower in the room! All shared rooms come with security lockers. Some of the rooms also have balconies. Check-in: 4 pm to 11 pm. We accept all common credit cards and cash payments in CHF or EUR. Our prices include all taxes (City Tax CHF 2.40 per person/night and VAT). 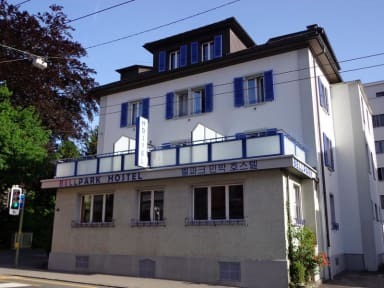 All I needed was a bed in a clean place with a friendly atmosphere, easy to get to with shops nearby.In addition to this I got a bus pass within the boundaries of the number 10 bus area courtesy of Lucerne Tourist Office for the duration of my stay. Amazing hostel! Location was great and they provided a Luzern Transport tickets which made travelling to the city centre easy. There is also a supermarket right outside the hostel which makes it very easy to purchase groceries for those who prefer to cook. The staff were amazing and super friendly! They answered all our questions patiently. We were allowed early check-in when we arrived early. There were free coffee/hot chocolate and an amazing free breakfast too! Definitely recommend. Fantastic hostel! Super easy to get to the city centre and a 5 minutes walk away from the Pilatus mountain. Super friendly owner, free breakfast (fried rice, which is a bit weird in the morning but it's very good!). The beds are quite comfy and there is a relatively spacious ensuite bathroom. This is also a small hostel with a very cozy/home like atmosphere. Plenty of games and tables availble to chill out. I would definitely recommend staying at this hostel! Wonderfully clean really enjoyed resting there i luvked out and had the girls dorm to myself for one night it was just so clean and peacfull. Though it’s a bit further away from the city but you could take the free public transport, so it’s not a big deal. Met some nice people here. They provide free coffee and fried rice for breakfast. After all the research we found this to be the best option. The place is away from city centre , but the free day pass fills the void. You can use the central public transport during your stay. Overall a nice play to stay. I was only here one night so I can't say too much. Fried rice for breakfast was strange, but very good. It is right by the bus station, and the bus system in Lucerne is very good and easy to understand. The shower door was missing in my room (114) so I made a mess of everything when I went to shower. Nice big main room to sit in, but I think the hostel is pretty quiet this time of year. I probably wouldn't stay again, but it was nice for a night. The beds were nice enough but the sheets and towels given were clearly used and washed too many times as they didn’t fit the corners of the bed and were stiff from use. The doors only locked if you used the key to lock it both from the inside and outside which was fine, but is a detail that should be relayed to guests. The only other problem i encountered were the uncleanliness of the shower and bathroom. Overall, for the money paid, it was reasonable for Switzerland.